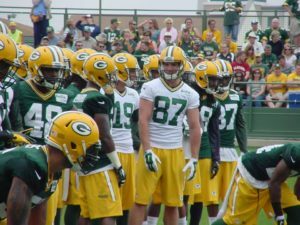 Green Bay Packers wide receiver Jordy Nelson has been ruled out of Sunday’s divisional playoff game in Dallas against the Cowboys. Packers coach Mike McCarthy said Friday morning that team doctors would not clear Nelson to practice on Saturday. Nelson suffered rib injuries after taking a helmet shot to the ribs from Giants safety Leon Hall in the Packers 38-13 wildcard playoff win last Sunday. Asked if Nelson could play in the NFC Championship Game if the Packers were to win this weekend, McCarthy said they’ll further evaluate him on Monday. 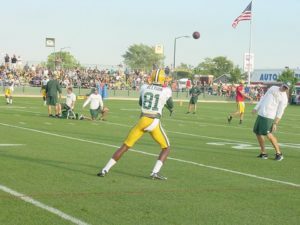 Geronimo Allison likely will move into the Packers’ three-receiver set along with Davante Adams and Randall Cobb. 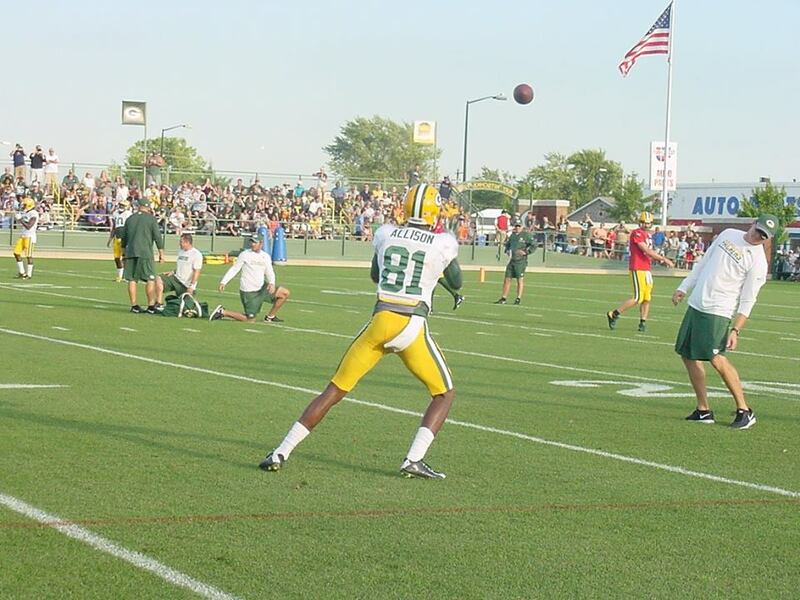 Allison filled in for an injured Randall Cobb during the final two games of the regular season. He caught eight passes for 157 yards and a touchdown. Nelson led the Packers this season with 97 receptions, 1,257 receiving yards and 14 touchdowns. Green Bay Packers rookie wide receiver Geronimo Allison is facing a misdemeanor drug charge. Allison was pulled over by the Wisconsin State Patrol back on September 4, 2016 after being clocked at 81 mph on I-43 near Francis Creek. The officer who stopped Allison smelled marijuana, but Allison denied smoking marijuana or having an illegal substance in the vehicle. Allison told the officer the odor was left over from the night before when he was with some people who were smoking marijuana. 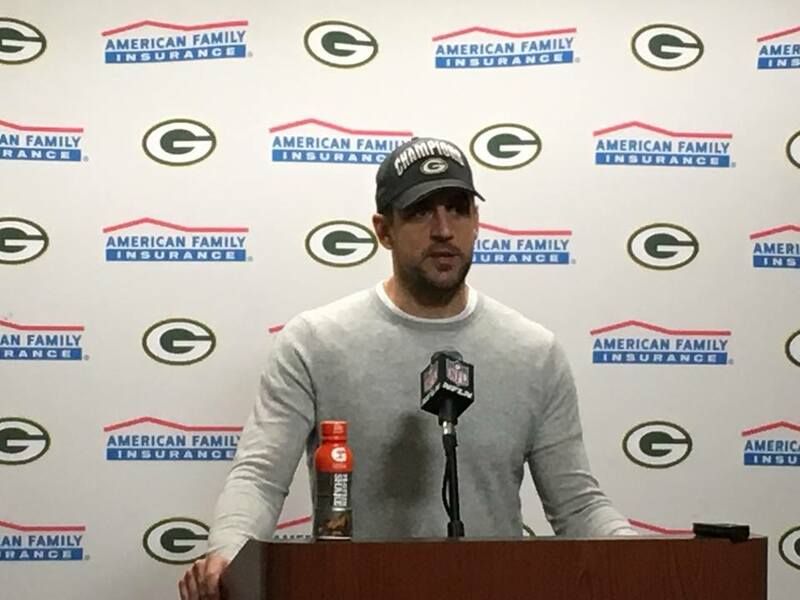 Aaron Rodgers following the Packers 31-24 win over Detroit. 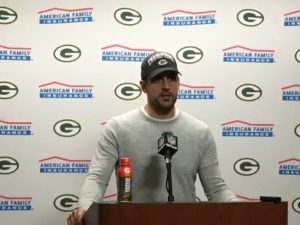 It was six-plus weeks ago that Aaron Rodgers told reporters around his locker that he thought the Green Bay Packers could run the table and win their final six games. Sunday night, that forecast became reality as the Packers knocked off the Detroit Lions 31-24 at Ford Field, winning six straight games and winning the NFC North Division title. 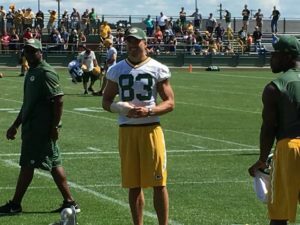 Jeff Janis watches practice Sunday with a wrap on his broken hand. Things usually have a way of working out. That’s why Mike McCarthy, or any other coach for that matter, spends time playing the roster game early in training camp and the preseason. More times than not, the outcome is determined without the need to make a lot of difficult decisions.